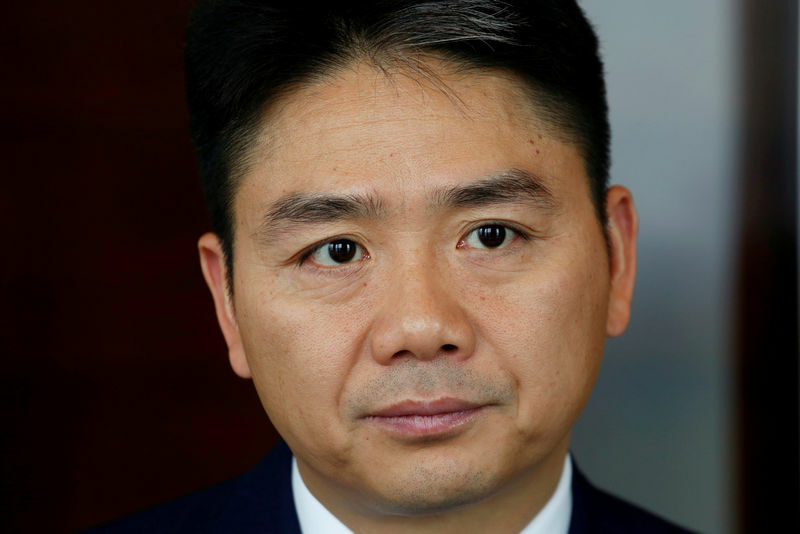 BEIJING/NEW YORK (Reuters) – The CEO of Chinese e-commerce giant JD.com Inc (O:), Richard Liu, was arrested by U.S. police on suspicion of criminal sexual conduct and later released in what police said was an ongoing investigation. But police said “an active investigation” was underway although it was possible for the billionaire founder of the firm to leave the United States. JD.com said on Monday Liu has returned to China from the United States to work. Liu could not immediately be reached by Reuters for comment. “We don’t know if there will be charges or not because we haven’t concluded an investigation,” John Elder, a spokesman for the Minneapolis Police Department, told Reuters on Sunday. He declined to provide details of the arrest. In addition to making Liu the highest-profile Chinese businessperson to be accused of sexual misconduct, the case has raised concerns that loss-making Nasdaq-listed JD.com could face difficulties making decisions due to its unusual governance structure. The company, which is backed by Walmart Inc (N:), Alphabet Inc’s (O:) Google and China’s Tencent Holdings (HK:), did not provide further details. JD’s rules require Liu, who holds nearly 80 percent of the company’s voting rights, to be present at board meetings for the board to make decisions, although it was not immediately clear if he has to be physically present or could participate by teleconference. “I’m not aware of any other company that has similar rules,” said Chris Leahy, co-founder of advisory firm Blackpeak and a corporate governance expert. “If the board isn’t quorate without Richard Liu, if he is unable to attend, and if there are no other provisions that offer a way round that, the company could become ungovernable,” he said. The Financial Times, citing two people with direct knowledge of the matter, reported that the case involved Liu, who is a student in the University of Minnesota’s doctor of business administration program, and a Chinese student at the university. While the doctoral program primarily takes place in Beijing in partnership with the prestigious Tsinghua University, the students were in the Twin Cities last week as part of their training. According to its website, the program is designed for top-level executives working in China and the region, and the average age of participants is 50. The complaint against Liu was made just before midnight local time on Friday, and he was released just after 4 p.m. on Saturday, according to the Hennepin County Sheriff website. University spokeswoman Emma Bauer referred questions to the Minneapolis Police Department. China’s foreign ministry said its consulate in Chicago was closely watching the situation. “We are currently seeking information and verification from the relevant U.S. departments,” foreign ministry spokeswoman Hua Chunying told a regular Beijing news conference on Monday. Chinese social media was abuzz over the arrest, with a thread on Liu’s police booking photo ranking as the most discussed topic on China’s Weibo platform on Monday morning, read more than 250 million times. JD.com, one of China’s tech heavyweights, competes with larger rival Alibaba Group (N:), and Liu has a net worth of $7.9 billion, according to Forbes. The company, worth some $45 billion, has seen its stock lose 24 percent of its value this year amid concerns of weakening growth momentum. The company has been in and out of the red for the past year and last month reported a second-quarter net loss of $334.4 million – almost twice that forecast in a Thomson Reuters I/B/E/S poll – reflecting increased investment. Liu built JD.com from scratch. In 1998, he spent 12,000 yuan ($1,760) of his savings to lease a four-square-meter retail space in Beijing’s technology hub of Zhongguancun, setting up a firm that would become JD.com. He is also known for his marriage to Chinese internet celebrity Zhang Zetian. Zhang, described by Chinese media as 24, shot to fame while a student in 2009 when a photo of her holding a cup of milk tea went viral, giving her the nickname “Sister Milk Tea”. She met Liu while studying in the United States and married him in 2015. In July, a court in Australia denied Liu’s efforts to block the release of his name in association with a sexual assault trial in which he was not accused of any wrongdoing, according to a court document. In that case, Liu had hosted a party in late 2015 at his luxury home in Sydney, after which one of his guests accused another guest of sexually assaulting her at a hotel. The defendant was found guilty of seven offenses, according to a court document.